Sure, you may have your own smartwatch keeping tabs on the background of your life, but won't somebody please think of the children? Okay, so earlier this week came the news from Mobile World Congress Shanghai that chipset kingpin Qualcomm is preparing a new processor, the Snapdragon 1200, specifically for kids wearables. Of course, the company is the point guard living inside pretty much every current Android Wear smartwatch with its Snapdragon 2100 equivalent, while the more basic Snapdragon 1100 is used for current kids and pets trackers. Matthew DeHamer, a product marketing staff manager at Qualcomm, told Wareable that this next jump could kickstart the next evolution for the area. 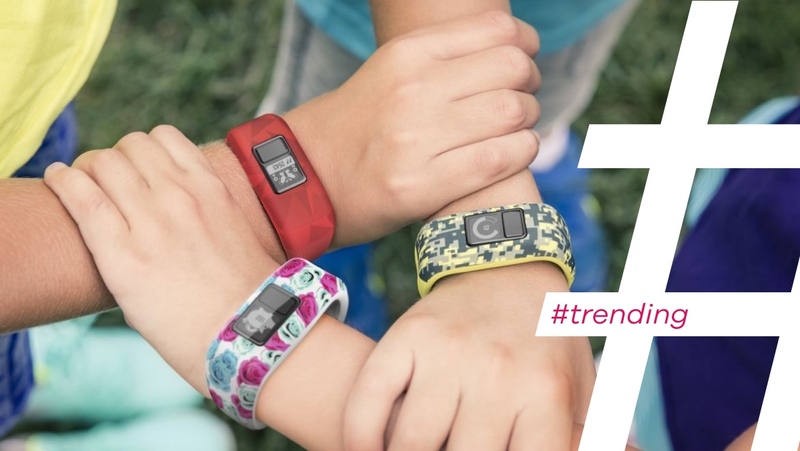 Hold up now, what even are kids wearables? Usually there's two paths to travel down in this space — an ease of mind tracker that offers GPS for parents to keep an extra eye out, and a more fun variant aimed at kids so they don't consistently try and unbuckle your fancy Apple Watch in order to try it on. How very interesting, and who's making these devices? A smorgasbord of smaller brands are taking up the mantle, such as Omate and VTech, while the likes of AngelSense and Tinitell operate in the trackers field. The big names haven't completed shied away from this burgeoning area - Garmin, like it so often does, has touched upon matters through the work of its Vivofit Jr - but household name options are scarce. Qualcomm has already teamed up with Borqs and Quanta to create design reference models and show off the chip, which will use narrowband LTE tech to allow for low powered, energy efficient, always-connected devices that can maintain a connection at long distances. But with the new processor also being 45% smaller than previous designs, expect it to be taken on board by more and more brands. Don't expect Apple to be doing anything centred around kids anytime soon, but there could be scope for Fitbit or one of Fossil Group's brands to provide some answers. It's all kicking off, that's why. While kids trackers are already a big deal in China and parts of Europe, they're yet to fully crack the US due to complications with cellular carriers. That means it's taken a little longer for the ball to get rolling. But with IDC indicating that Xiaomi and BBK (both companies that are heavily invested in the area) are among the top overall wearable vendors in the world, there's no reason why this wouldn't continue to expand. Not just that, but the research giant also noted recently the overall market is set to double by 2021. It'd be a surprise if kids wearables weren't a factor in that rise, as well as hearables and smart clothing. Who else could get involved? With Qualcomm looking to make new waves in the area, you can expect Intel, which has squared its wearable focus through the Intel Curie chipset, to perhaps dip into the area itself. With kids trackers naturally being an area that involves cheap price points, the argument could be made that taking the plunge simply isn't worth it for some companies. It's all very chicken and egg, though, and may only take a fresh influx of devices to set the market alight in the all-important US. When can we expect movement? Qualcomm have indicated to us that the first devices housing the Snapdragon 1200 could land as soon as August, though just how many will adopt initially is a different matter. When new processors drop, it can often take time for companies to assemble into line and take advantage. The real hope here: not only do startups that have already dipped into the market return to make use of the improved tech, but that it also attracts the bigger hitters and truly send this offshoot into a new stratosphere.